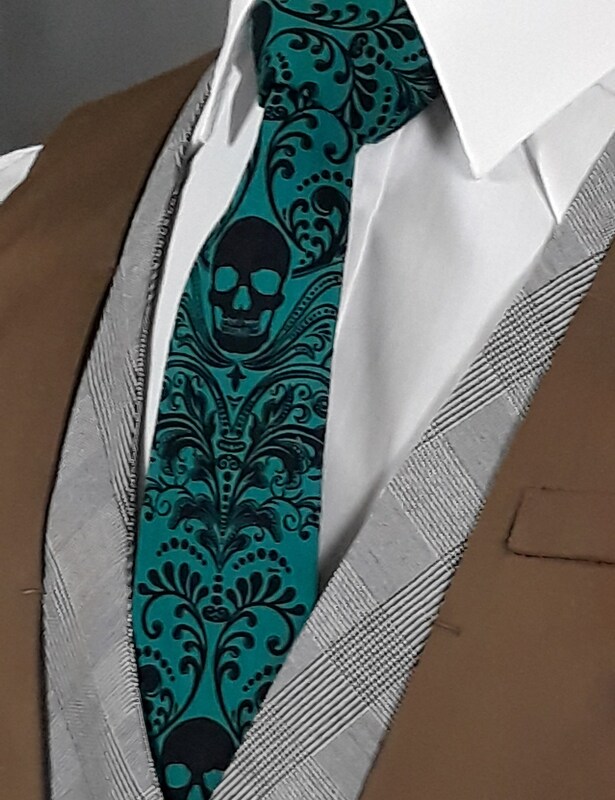 Hand dyed by Eds Neckties. 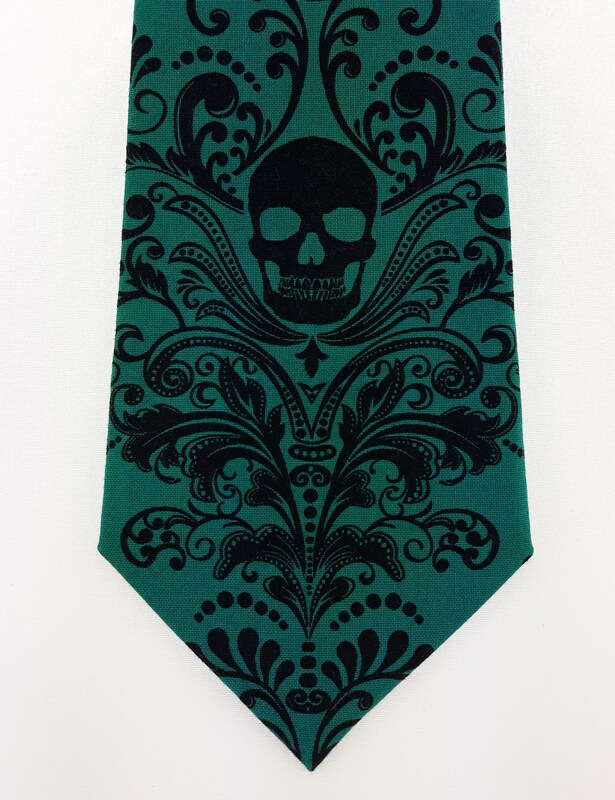 This goth skull tie features a Green background with black skulls. 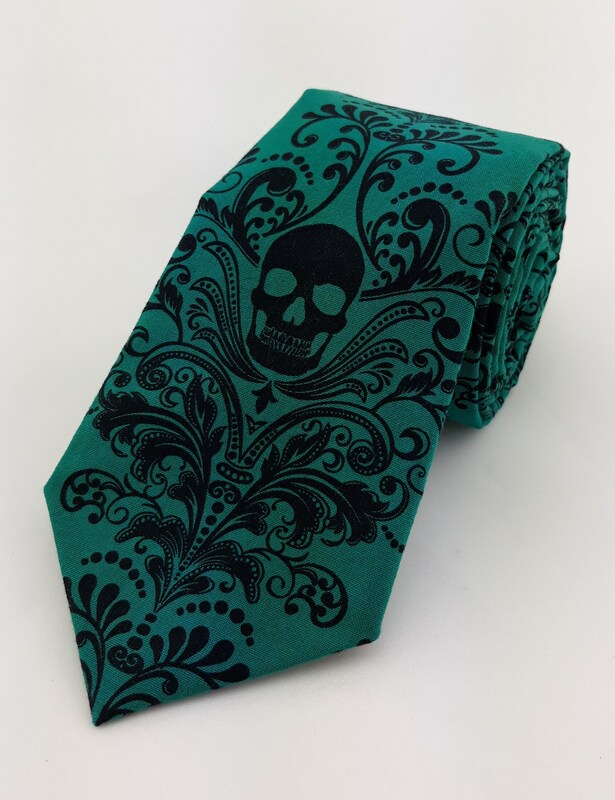 Available as a skinny and a extra long tie. 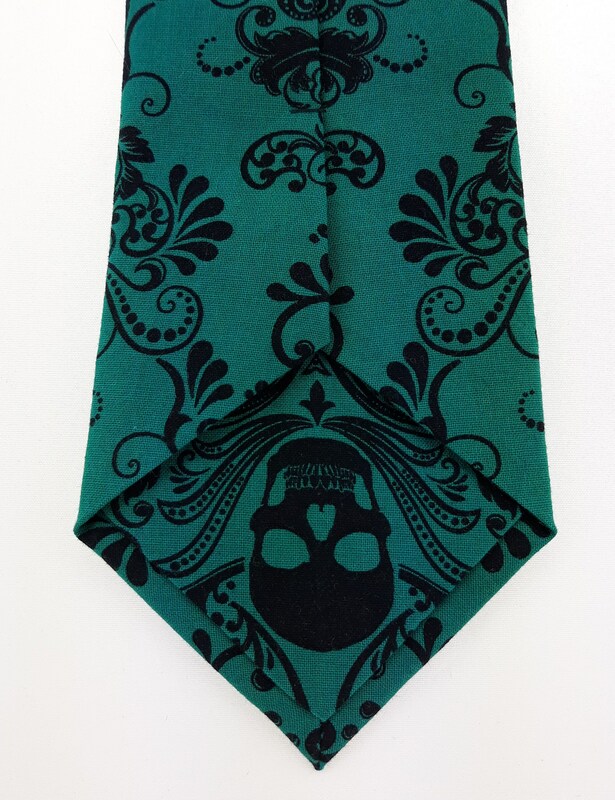 Pocket sqaures available.